Caitlan Coleman recounted her "rollercoaster" relationship with Joshua Boyle that ended post the release. 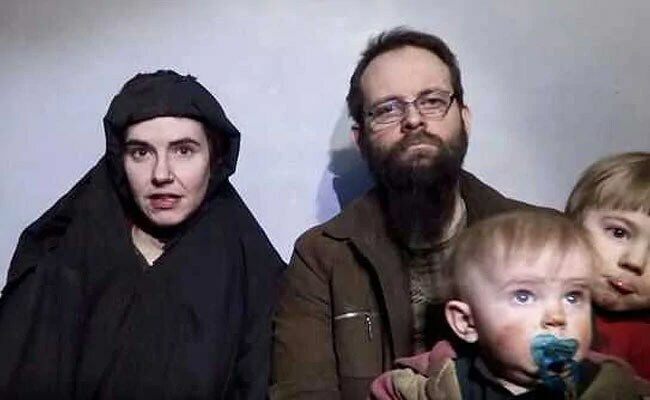 Boyle and Coleman, who married in 2011, were kidnapped by the Taliban during what they have called a backpacking trip in 2012 and were transferred to the custody of the Taliban-allied Haqqani network. "He was my first kiss," she said. But after landing in nearby Kyrgyzstan, Boyle sprung on her his real plan to go to Afghanistan, telling Coleman that she "didn't have a choice." Coleman said the day they gained their freedom, which she said was "exciting" and involved a "dramatic" car chase, her husband's assaults and verbal abuse stopped and she said she became hopeful. The court heard Boyle's 911 call on the day Coleman walked out of the couple's Ottawa apartment at the end of December. He claimed she was mentally unstable, struggling with post-traumatic stress disorder, and might harm herself. Coleman's testimony is due to resume Friday, in what is expected to be an eight-week trial.